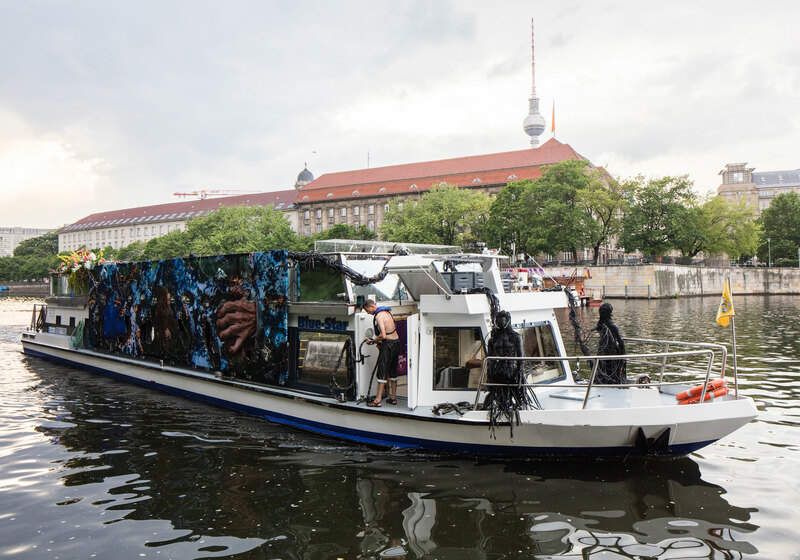 Korakrit Arunanondchai and Alex Gvojic have created a site-specific video installation on the Blue-Star sightseeing boat of Reederei Riedel, the Berlin Biennale’s only itinerant venue, that travels up and down the Spree River throughout the period of the exhibition. 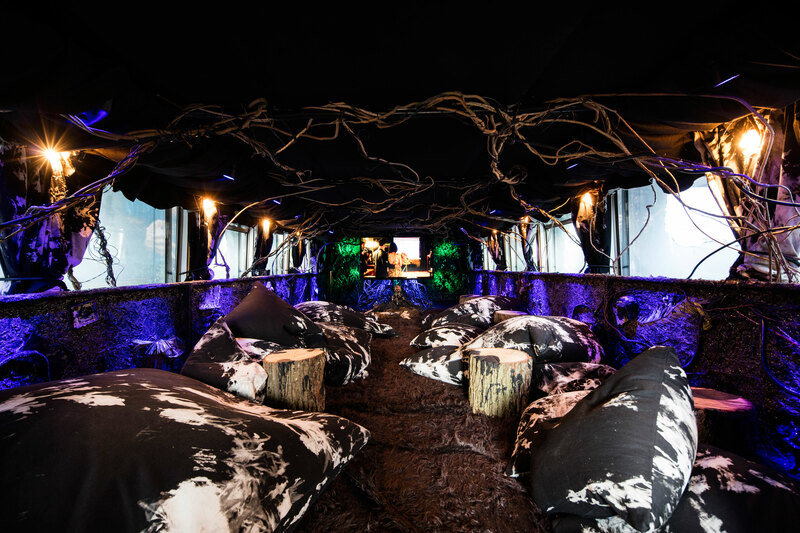 The boat’s exterior décor includes images of a giant rat hugging Arunanondchai’s grandfather, in reference to the film shown on board, There’s a word I’m trying to remember, for a feeling I’m about to have (a distracted path towards extinction). 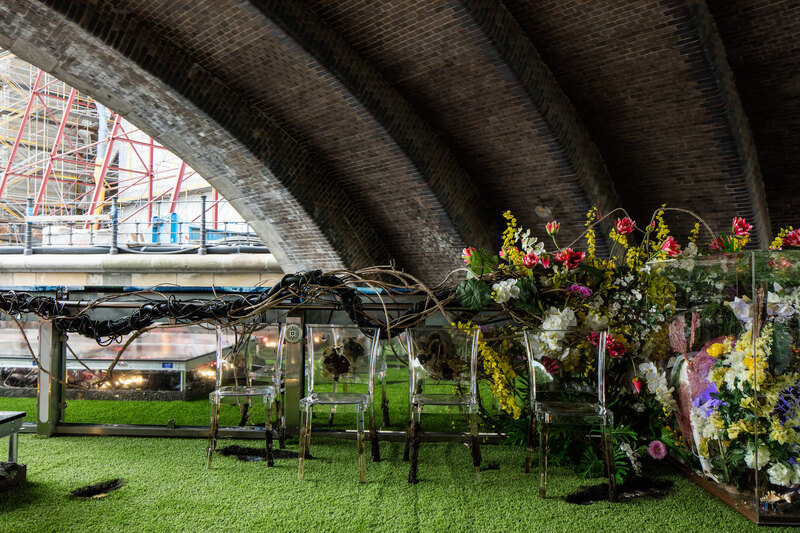 Inspired by previous large-scale extinctions in the history of the earth and the likelihood of the next, human extinction as well as the event of Arunanondchai’s older brother getting married, the film uses multiple narrative threads to frame a relationship between being alive today and the collapse of the natural systems around us. In addition to the video, an audio guide made in collaboration with the music producer Aaron David Ross and boychild accompanies passengers as they experience the main route frequented by tour boats on the Spree, passing Museum Island and the city’s government district. 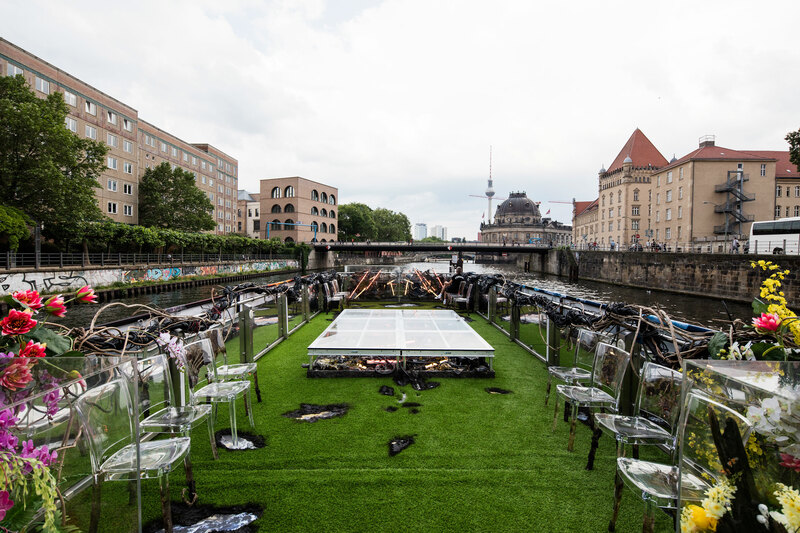 During the running time of the Berlin Biennale from June 4 to September 18, 2016, events and performances take place on the upper deck of the boat every Saturday evening.